Don’t just focus on your home’s interior remodeling, let landscaping help raise your value as well. 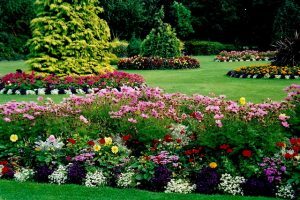 If you don’t believe that landscaping and caring for your front yard can yield significant benefits, then you’re missing out on a potential rise in value. Although interior home improvements are known as the main things to focus on, don’t neglect your front yard as well. It’s essentially the first thing that they’re going to see. A messy and neglected yard will almost always leave a bad impression on buyers looking into your home. Here are some tips that will help keep your front yard in good shape. Your front yard doesn’t need to be cared for every single day. Rather, set up a schedule that includes all your landscaping tasks on it. This way, you’ll stay organized and you won’t have to spend hours doing damage control when it could’ve easily been prevented. If your landscape does fall into ruin, you’re going to have to reach deep into your pocket to fix all the issues. Essentially, that value that could’ve came back after the sale just went straight to the landscaper that fixed your yard. Be sure that you mow your lawn between ½ and ¾ inches in length. If you cut it too short, areas of your lawn will die. If it’s left too high, it will be uneven and ruin the appearance of your landscape. Be sure to trim the shrubbery around your yard. While they can compliment a home, they can also look out of place when not taken care of on a regular basis. Kuba Jewgieniew is the CEO of Realty ONE Group, a real estate firm that helps their agents exceed expectations by providing them tools that they ned to succeed.